Shock Top Belgian Style Wheat Ale Just $0.29 at Target! You are here: Home / Great Deals / Shock Top Belgian Style Wheat Ale Just $0.29 at Target! Wow! Check out this great deal at Target if you enjoy drinking beer (must be 21+)! 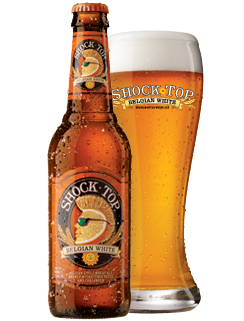 You can get Shock Top Belgian Style Wheat Ale for just $0.29!